Nice relic from late 40s/early 50s. 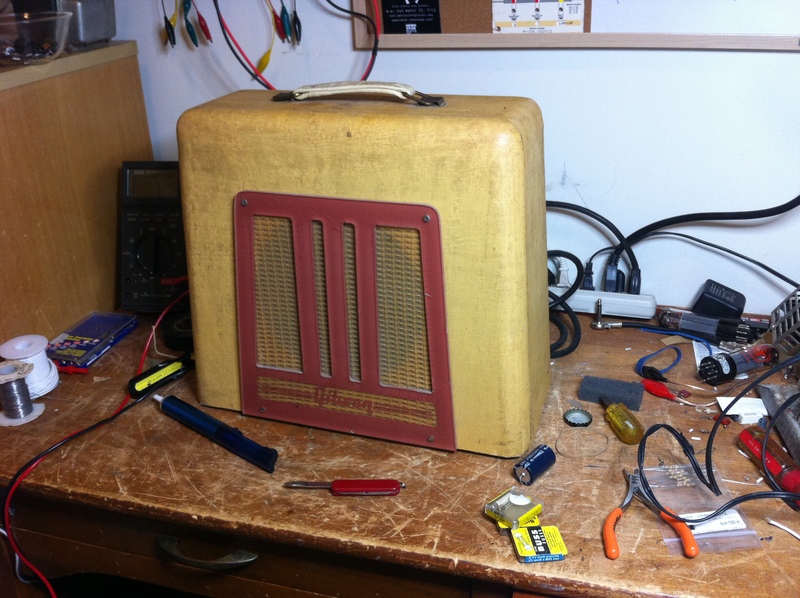 Vintage Gibson BR-9 lap steel amp in for a recap. 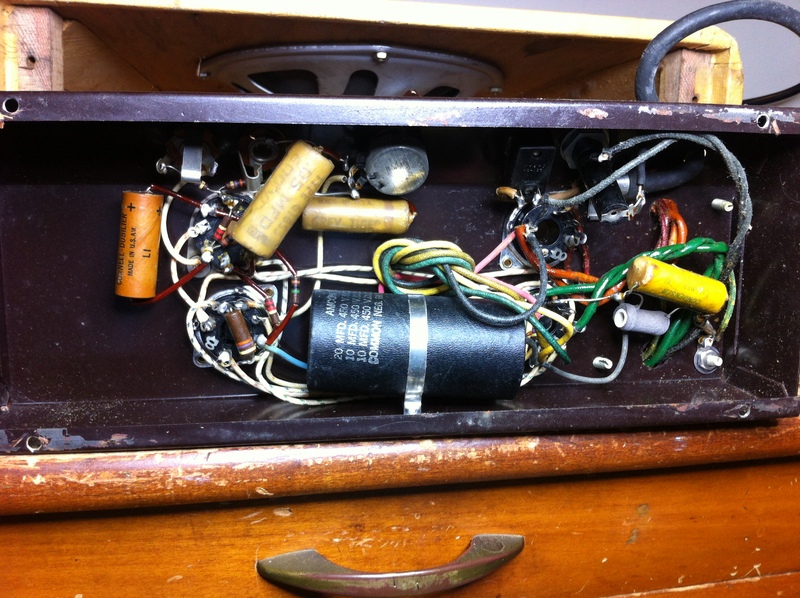 You can pull the chassis from the amp but it can only be removed so much because the output transformer windings mount directly to the speaker. 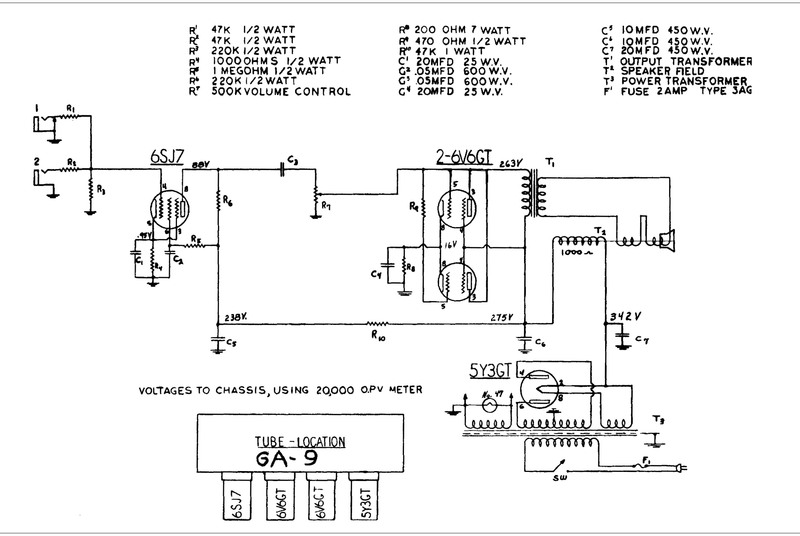 There are many versions of this amp and this one resembles most closely the Gibson GA-9 circuit. 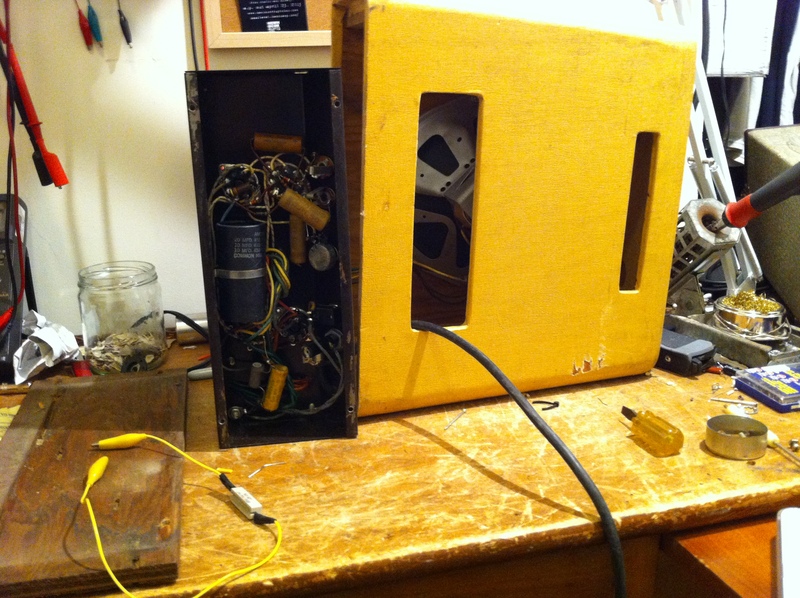 The earlier version of this amp has a 6SN7 preamp tube that is transformer coupled to the output section. This one had a 6SJ7 like the GA-9 which is coupled to the output section via C3 and R7. R7 is the volume knob. 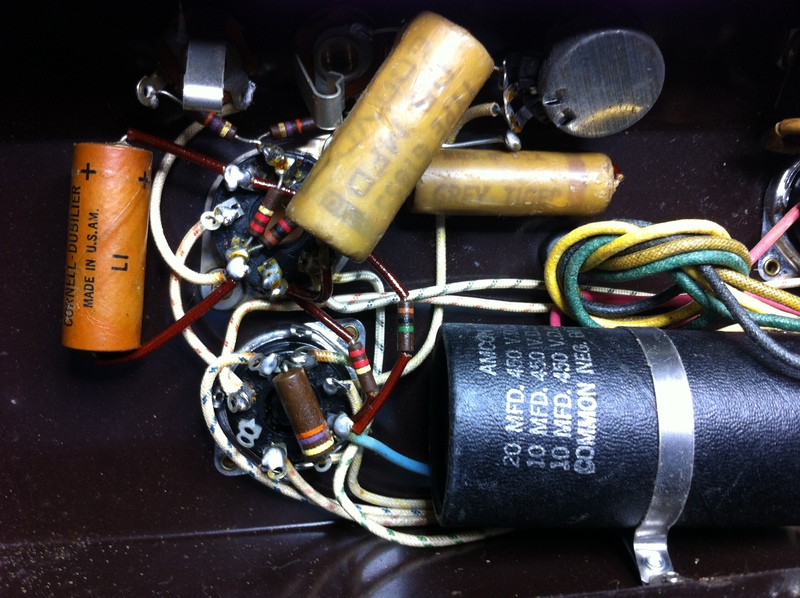 The cathode bypass caps C1 and C4 were replaced, as well as the power supply filter caps C5, C6 and C7.